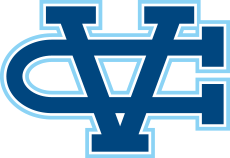 Mountain View, CA - The Valley Christian Track & Field team saw seventy-seven athletes compete in the WCAL Championships this past week, marking the largest contingent the Warriors have sent to the post season. Forty-three qualified to compete in Friday's finals and by the end of the meet Valley Christian had six league champions, sixteen podium finishes and a state record! Charlie Bostic won the Frosh-Soph 100 meters in a time of 11.17 (wind legal +0.1 m/s); Nick Trofort was third in 11.36. Remarkably both were just 0.06 off their fastest times run this season for all conditions and are their fastest wind legal times ever. Bostic & Trofort again finished on the podium with another first and third, this time in the Frosh-Soph 200 meters. Bostic won his second event of the day in 22.67, Trofort was third in 23.31. As in the 100 meters both marks were wind legal season bests with a wind reading of +0.0. Caitlyn Roland moves on to the CCS Trials with her second place finish in a personal best 60.38, which also moves her to #7 on the Warriors all-time list. Kayla Nanez improved her freshman school record for the second consecutive week running 60.91 for 5th. Her time also earns recognition as the #10 time in school history. Nedu Ndili moves on to CCS Trials bettering the CCS automatic qualifying time in a personal best 1:56.85. Ndili currently is #2 in school history in the event. It was a strong showing all around for the 800 meter crew as numerous Warriors finished the season with personal bests. Vanessa Zenere finished fifth in the varsity division in a personal best 2:27.05, Kiko Li also ran a personal best 2:30.08. In the junior varsity girls freshman Ashley Clayton led the charge earning a four second season best to finish in 2:30.45. Hannah Theaker has dropped 14 second off her personal best in one week. Dropping from 2:44 to 2:35 in the trials she took another big jump running 2:30.84 in the finals. Sophia Patterson also made the final and ran a personal best 2:34 in the trials and followed that up with a 2:35 clocking in the finals. Cameron Lockard was the top finisher for the Warriors finishing in 4:45, Sam Cuevas just behind in 4:48. Francisco Hererra finished in 5:03. Joe Renati was the top finisher for the Warriors in the 3200 meters running his second fastest time ever for the event finishing in 9:58. Sam Cuevas (10:21) and Cameron Lockard (10:36) impressively ran personal bests after doubling back from the mile earlier in the day. Jessica Hanjojo bettered her personal best by a slim 0.01 finishing in 19.87 for eighth place. Calvin Lin dipped under 11 seconds for the first time this season finishing seventh in 10.90. D'Angelo McKenzie finished in a dead heat with Mitty's Blake Rose in exciting photo finish where both runners were awarded the same time of 15.48. McKenzie advances to the CCS Trials next week and is the top ranked sophomore in the section. It was another personal best for Caitlyn Rowland, this time in the 300 hurdles. The junior finished in 47.12 and moves to #2 all-time in school history. For Matt Weeks the 300 hurdles marked his fourth and final event of the championships. The school record holder finished in 42.25 for sixth place capping an impressive WCAL Championship. The junior varsity girls set a season best 54.22 with the team of Kathryn Li, Aamani Ponnekanti, Nicole Hobaugh and Trinity Stark. In the frosh-soph boys race the team of Alton Julian, Charlie Bostic, Gary Coleman and Nick Trofort couldn't get past the first exchange due to a botched handoff. The team entered the meet as the top seed with two of the top three sprinters in the WCAL. The junior varsity girls team of Alexis Zenere, Hannah Theaker, Sophia Patterson and Ashley Clayton bettered their season best by more than six seconds finishing fifth in 4:26.00. The team of Vanessa Zenere, Kiko Li, Kayla Nanez and Caitlyn Rowland finished fourth in 4:18.02 in the varsity girls division. The frosh-soph boys held their own finishing fourth in a season best 3:42.55 for the team of Preston Nguyen, Gary Coleman, Jaeden Ellis and Alton Julian. Elena Bruckner broke a slew of records with one fifth round throw went sailing 54 feet, 7 inches; the mark betters the WCAL, CCS and State records. Happy with the distance she wasn't happy with execution of the throw. "It came off one finger," Bruckner said of the record. "It didn't get all of it." Bruckner followed up with an impressive sixth round of 54-6. It was a sweep for the Lady Warriors in the shot put. Following Bruckner's 54-7 Athiya Iese finished second in 40-9, Anna Maumalanga finished third in a personal best 35-1. Perhaps overshadowed by her state record in the shot put Bruckner also had an impressive series in the discus winning her third WCAL title with a throw of 172-0. It was an impressive day all around in the discus as two personal bests from Athiya Iese (127-1) and Anna Maumalanga (118-0) clinched a sweep and CCS qualifying, as they all surpassed the CCS automatic qualifier. Max Moore set a school record in the boys discus winning the WCAL title in the discus with a throw of 157-8. Moore is currently ranked #3 in CCS and is the top seed entering the CCS Trials after recording the furthest throw of all the league championships in the CCS. Brant Baugher finished eighth in the Frosh-Soph division with a throw of 93-5. Mitchell Rohr finished fourth with a jump of 20-2.5. The wind didn't help efforts to hit the CCS Auto qualifier as Rohr's mark was into a -3.1 m/s headwind. Yvonne Ma finished seventh in the junior varsity girls with a mark of 14-5. Matt Weeks moves onto the CCS Trials finishing second with a mark of 43-1. He is ranked #7 heading into Saturday's CCS Trials.